The food problems now facing the world-scarcity and starvation, contamination and illness, overabundance and obesity-are both diverse and complex. What are their causes? How severe are they? Why do they persist? What are the solutions? In three volumes that serve as valuable teaching tools and have been designed to complement the textbook Food Policy for Developing Countries by Per Pinstrup-Andersen and Derrill D. Watson II, they call upon the wisdom of disciplines including economics, nutrition, sociology, anthropology, environmental science, medicine, and geography to create a holistic picture of the state of the world’s food systems today. 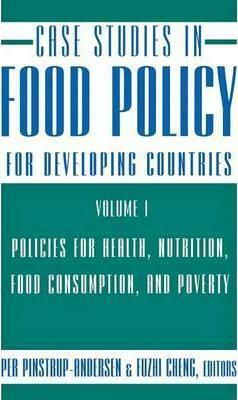 Volume I of the Case Studies addresses policies related to health, nutrition, food consumption, and poverty.